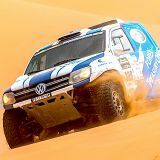 Hennie de Klerk’s TreasuryOne adventure to meet the Morocco Desert Challenge has started early. 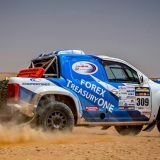 De Klerk and his team are en route to Agadir, where they will meet up with Lionel Lewis, who was due to fly to Spain to unload Hennie’s TreasuryOne Amarok from the container and tow it to the harbour to be shipped to Agidir. 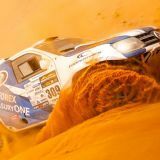 But racing is never that easy, right? 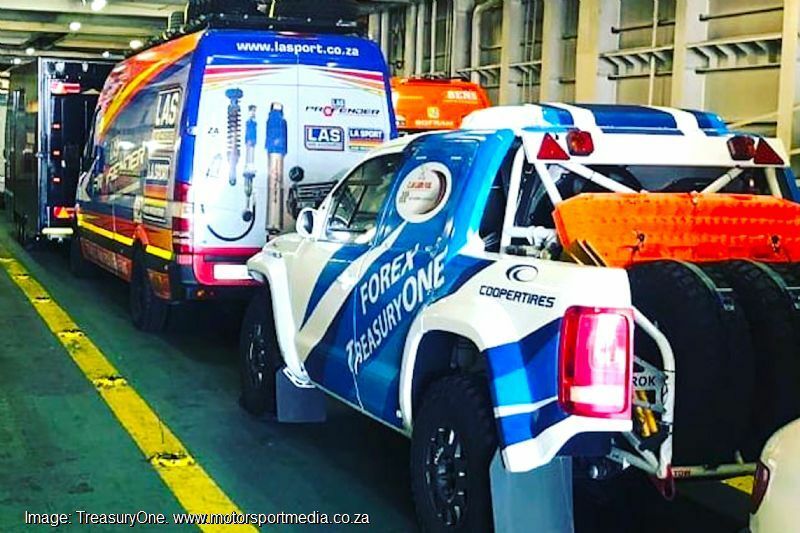 Well the ship was delayed and the team was forced to fly Lionel and wife Annalie to Rotterdam in Holland, where they unloaded the Amarok, the crew van loaded with all the parts and team equipment and towed the race car down to Spain to make the ferry Tuesday morning 9 April. 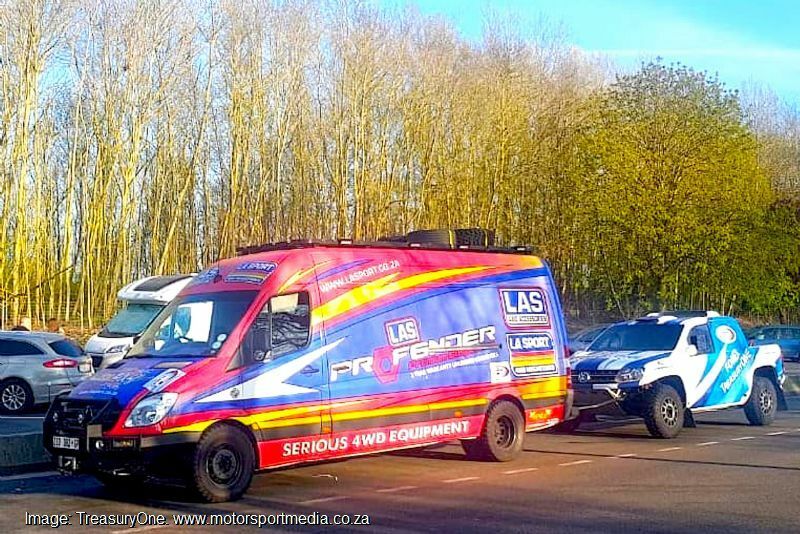 “It was a typical case of ’n boer maak 'n plan!” LA Sport crew chief Lionel admitted. 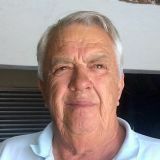 “We were told very late that the ship from SA would not get to Spain in time, so we made emergency plans for Annalie and me to fly to Holland, offload the car, the van and all the kit and make haste to get that ferry this morning. 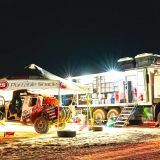 “It was a bit of a mad rush across Europe — we drove down through Paris to Barcelona — remember we are in a right hand drive van driving on the right so we needed to be patient. 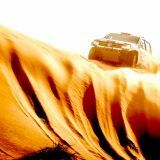 “But Mr. Murphy was still not finished with us — we managed to get Annalie’s handbag stolen with our passports and all the travel documents too, so that meant another wild chase to sort all the emergency paperwork! 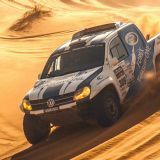 “Anyway, we made the ferry this morning and the TreasuryOne Amarok is now on its last leg en route to Agidir, where we will meet Hennie and the rest of the team in preparation for the Morocco Desert Challenge — it’s been quite an epic trip already — now we can’t wait for the real adventure to kick off!" 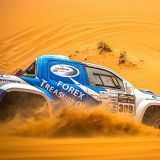 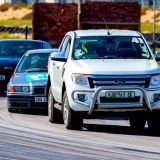 Hennie and the team can now focus on documentation and scruitineering ahead of the race starting Friday 12 April. 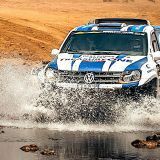 Follow TreasuryOne Motorsport’s Moroccan adventures through daily race reports on www.motorsportmedia.co.za and via regular updates at www.facebook.com/treasuryonemotorsport.